Research Update with HES Research Scientist, Rémy Poulin. Would you believe decades ago, geologists would go exploring for gold at the darkest time of the day, with an ultraviolet light in search of minerals that glowed in the dark? Believe it or not, it's true. 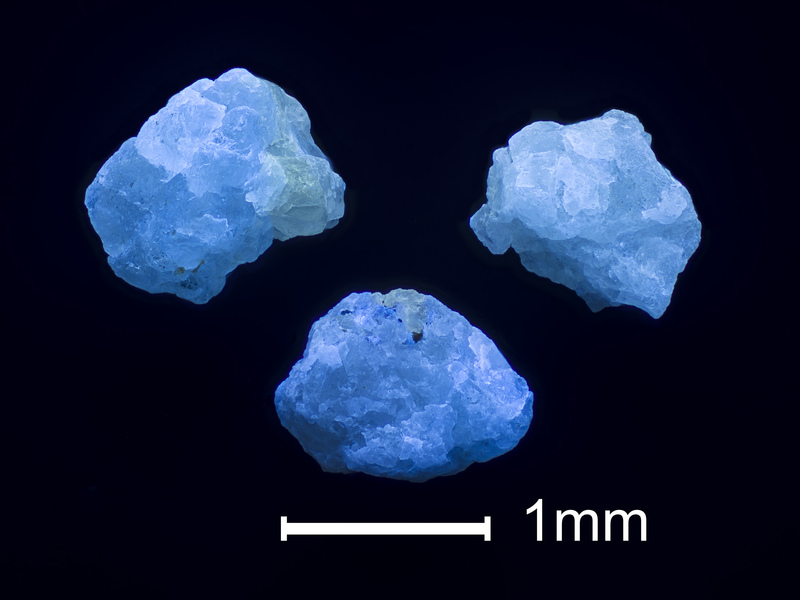 Photo of Scheelite under plain light (left) and Ultraviolet Light (right) taken by Michael Bainbridge. Some minerals have a particular property that will actually emit light when under ultraviolet light. Depending on the elements present in certain minerals or the type of ultraviolet light, the colour emitted can be different. Scheelite is an ore mineral that is commonly found in tungsten deposits that will emit light when under ultraviolet light. HES Researcher Rémy Poulin, is one of the first to investigate the properties of scheelite on a world-wide scale to uncover potential geochemical patterns that could aid in the discovery of new ore deposits. Here’s what he found. What’s causing scheelite to glow? Research Objective: Investigate the chemical changes within scheelite that affects the luminescent response. High level findings: While there are many different elements which can be incorporated into scheelite, the most important element affecting the luminescent response is molybdenum (Mo). The incorporation of this element shifts the observed colour of scheelite from a bright-white blue towards yellow-green depending on the quantity of Mo which is incorporated! 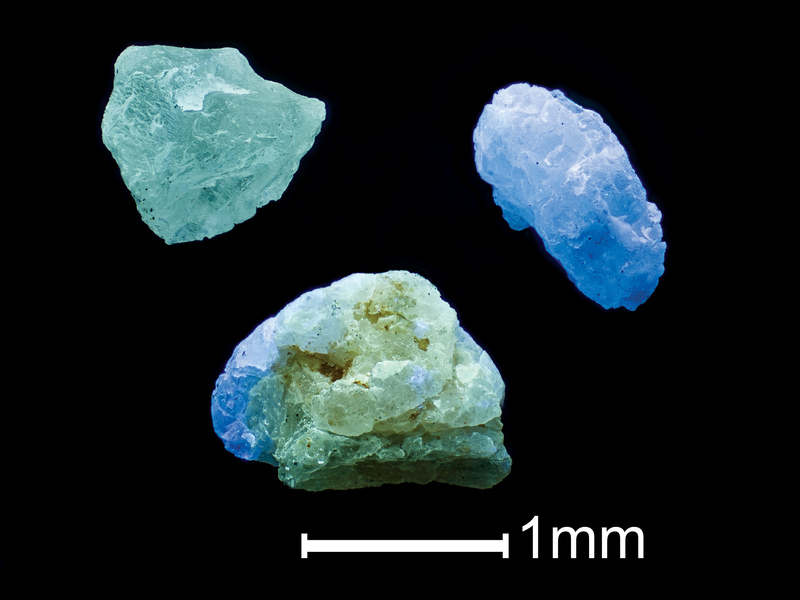 How can we develop scheelite as a tool to discover new ore deposits? Research Objective: How can we relate the chemical properties of a single scheelite grain to an ore deposit? 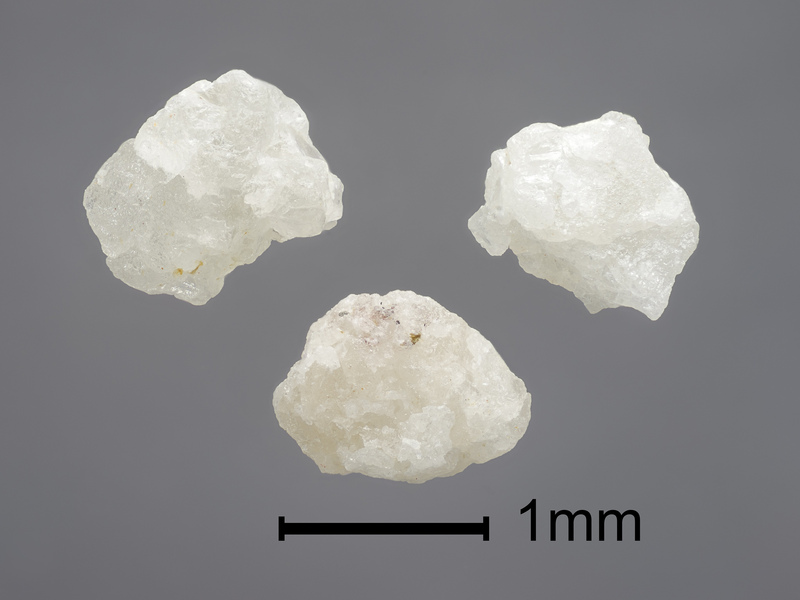 High level findings: With support from the Canadian Museum of Nature and the Miller Museum of Geology at Queen's University, Rémy collected scheelites from 37 different ore bodies around the world. These scheelites were grouped together based on their environment of formation; either magmatic or metamorphic in origin. If you are able to determine what environment a specific scheelite formed in, this could help vector you towards a particular style of mineralization. For example, scheelite found with gold is often associated with a metamorphic environment, therefore should you come across scheelites that possess a strong metamorphic signature, this could indicate that a gold source could be near-by. Through his research, Rémy was able to find a chemical signature relating to specific styles of mineralization; in addition, this chemical relationship can be linked to the change of colour under ultraviolet light! Further detailed investigations into the chemical properties of scheelite can shed light on very specific questions regarding the origin and development of the ore deposit from which it mineralized. In other words, we just got one step closer to being able to use luminescence to determine whether or not there could be ore deposits like gold, copper and silver present!